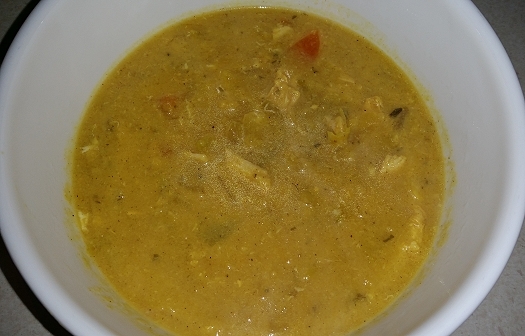 I have been making this soup since 1988, the year I first did home economics at school. They taught us how to make this quite simple but soooo delicious soup and in winter I could never get enough of it. I have fine tuned the recipe over the years. I took out the cornflour fairly early on because I was not a great fan of the thickness that gave to the soup stock. If I want that kind of consistency I am much more likely to order it in a Chinese restaurant because they do it way better than I ever did. Here is a more traditional version. 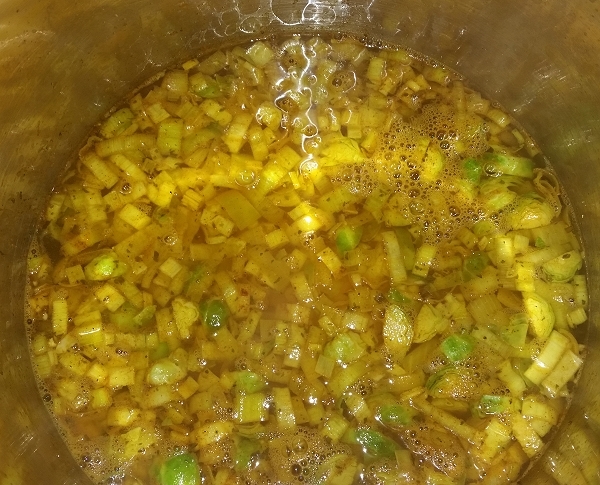 Melt the coconut oil in your stock pot, add in a dash of extra virgin olive oil. Add in your garlic and allow to cook for a minute or so. Add in the onion and leek – stir well. Add in your spices at this time. 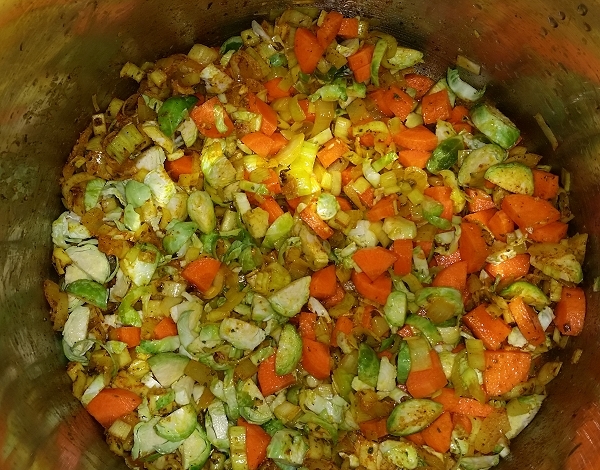 Add the carrot and brussel sprouts – let the veg sweat for 5 minutes. here is where you might add extra vegies of your own – cabbage might work well in this soup, spinach or kale would be good additions too. Meanwhile, prepare your chicken stock and chicken breast ready to add to the pan. I like to add my chicken breast in large steak pieces. This makes it easier to fish the chicken out once it is cooked, for shredding. Once the 5 minutes are up, add your chicken stock and chicken breast. Put the pot on simmer, and walk away for a good 20 minutes. Once the 20 minutes are up, your chicken should now be beautifully cooked. Your flavours will have co-mingled nicely. Take the chicken out and place on a chopping board, allow it to cool while you perform the next step. Turn the heat up to get the soup boiling. Add the creamed corn. Crack your eggs and have them ready to add into the soup. Once the soup is boiling, pour the eggs slowly in while stirring the soup. The egg drop part is my favourite. I love getting that soup bubbling and then pouring the eggs in, and stirring, as the egg is quickly cooked and makes those streaky white lines. I believe the traditional recipe only puts in the whites. Me, I love putting in the whole egg. It is just a shame the yolk does not do that streaky thing, it kinda just vanishes into the soup. I bet it is even nice the next day, but as you are so fond of it, perhaps you don’t leave any for the next day. 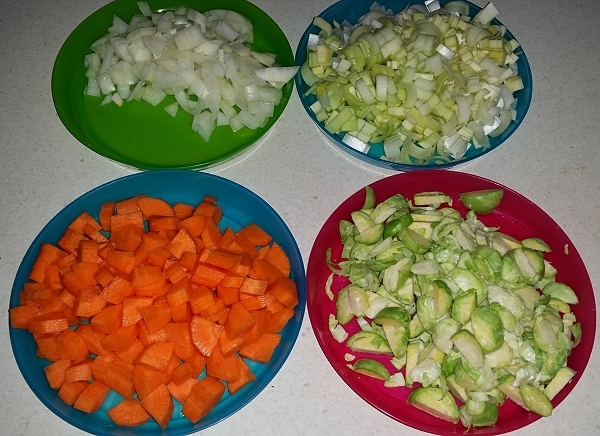 Andrew – I usually make enough for 5 days of leftovers for 2 people, there is still some in the fridge right now.. I’m not so keen on freezing it though I know it does ok in the freezer, I just prefer freshly made. 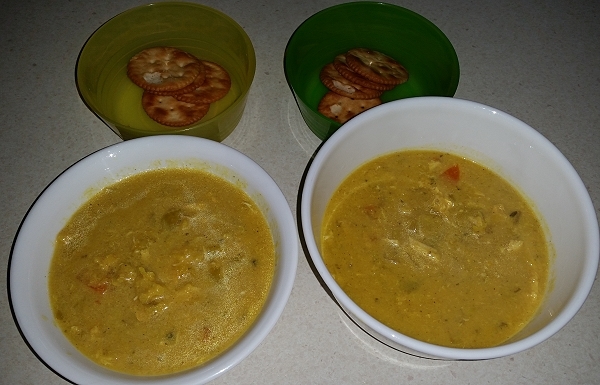 And this is one of the easiest meals I make, the only thing that takes any effort is the cutting up veg part, plus cutting up the chicken after it has cooked, everything else is just throw it in the pan and stir, for the most part.. :) Usually this soup takes me maximum 45 mins and 20 minutes of that is letting it simmer while the chicken cooks. 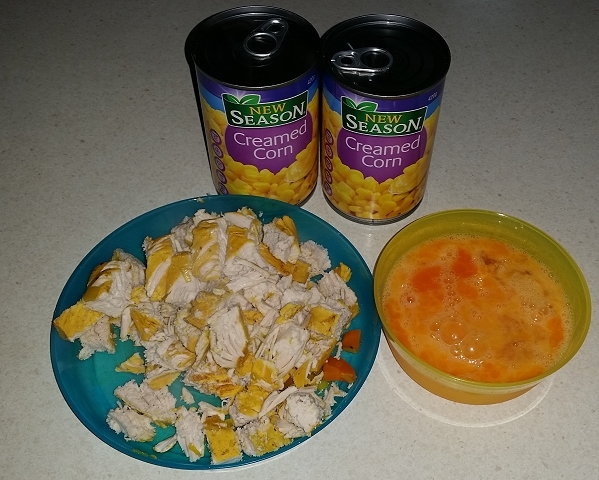 I like chicken and sweetcorn soup, but can’t be bothered with the cooking, so I buy the Heinz cans of Asian style chicken and sweetcorn soup. If I add a stack of toast on the side, I get two meals from one can. Most of my soups are home made too. I eat the Heinz one rarely, maybe one can per winter, the only other canned soup I buy is tomato which is used as a base for many other ingredients and recipes.